A lemon tree can yield more than 1,000 lemons a year that require careful handpicking, most of the world’s bergamot oranges oranges are produced in a small protected area in Calabria, Italy, and an an orange tree can continue to fruit after 50-80 years. 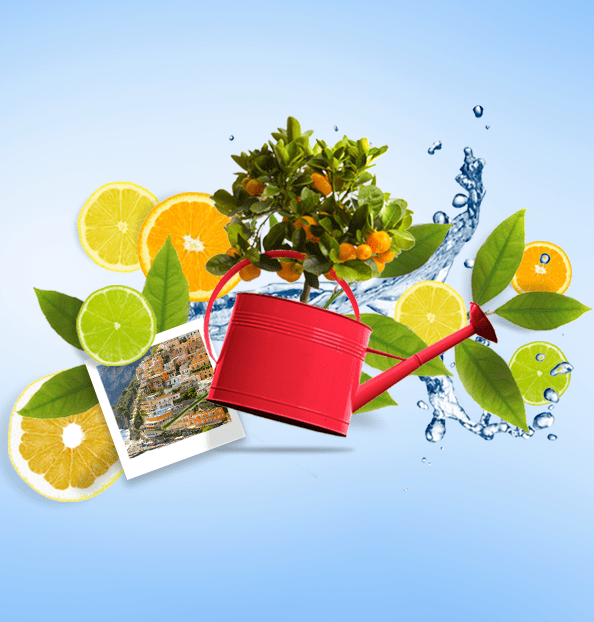 Enter the fascinating world of citrus fruit farming! Citrus fruit trees have come a long way from being ornamental objects in private gardens of aristocrats in the 17th century to being the fruit that we all get to enjoy. Farming techniques however are something that is steeped in tradition and knowledge that has been gained and passed on through generations. It requires” a true passion”, says our citrus grove farmer Giosuè Arcoria, owner and farmer of the citrus grove where our Watch Your Citrus live webcam is located. Citrus fruit require balmy temperatures and most don’t do well with frost. A reason why the warmer south of Italy - Sicily, Campania and Puglia, produces some of the world’s best citrus fruit. In connection with the balmy temperatures, warm sea breezes also play a role –lemon groves by the Mediterranean Sea, the trees closest to the sea will be ready for picking earlier than those further upland. The sour orange is known to be one of the hardier varieties, and some have been known to survive several hundred years! On the steep cliffs of Amalfi and Sorrento, many citrus groves are still only accessible by steep staircases through which, even today, fruit is transported on the shoulders of farmers. This is where the world famous Limone di Amalfi and Limone di Sorrento are produced. Citrus fruit are easily crossed between each other, whether by human interventions or by chance of nature. The thousands of varieties of citrus that we have now were originated from just three citrus ancestors – the pomelo, mandarin and citron.